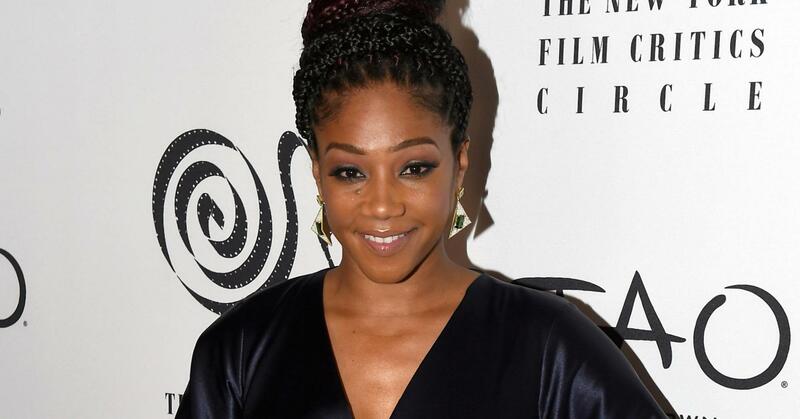 Tiffany Haddish has quickly become one of the hottest names in comedy since her breakout role in Girls Trip, and she may be about to land arguably her biggest role to date. Collider reports that she is in talks for one of the two new leads in Sony’s female-driven reboot of 21 Jump Street. Haddish reportedly won’t be playing a student who goes undercover in this version, instead she’ll play a teacher posing as the mother of a new student, who is also a fellow undercover cop. There’s talk that Awkwafina is at the top of Sony’s wishlist for that other lead role, who is also being considered for a supporting role in their Jumanji sequel. While those roles aren’t yet set in stone, Sony is certainly trying to rebuild the Jump Street franchise around the Girls Trip star, who has quickly established herself as one of the brightest names in comedy. Since her breakout role last year, she has starred alongside Kevin Hart in Night School, had voice roles in both The LEGO Movie and Secret Life Of Pets sequels, and signed on for enticing projects such as Paramount’s Limited Partners and New Line’s drama The Kitchen. Rodney Rothman (22 Jump Street) is writing and directing the reboot, while Phil Lord and Christopher Miller, directors of the first film, are set to return as producers. Sony’s Sanford Panitch told Variety earlier this year: “We’ve had enough male buddy comedies. The script is really funny and has a freshness to it”. The idea of Haddish and Awkwafina leading a Jump Street movie does sound genuinely good, though it would perhaps be more exciting if it was instead a fresh, new idea. But that is how Hollywood works nowadays, and it’s worth remembering that 2012’s reboot was initially scoffed at when announced before it surprisingly became a contemporary comedy classic. There’s every chance the same can happen once again here.